Having been to Hawaii numerous times, people frequently ask which island is the best. Los Angeles TravelingMom’s answer is always the same. She doesn’t have a favorite. She loves them all. Each island shares some similar features yet has its own unique personality. 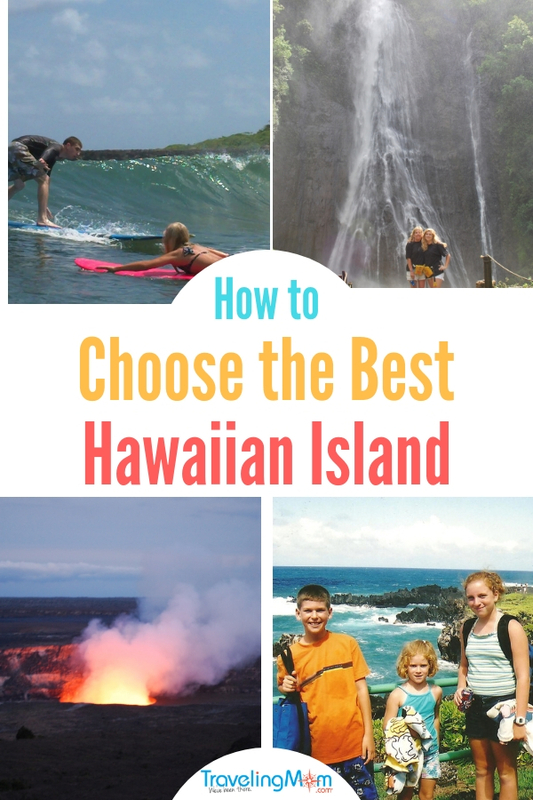 How to choose the best Hawaiian Island for your family vacation depends on your interests. And once you’ve been there, you’ll probably want to return to visit the other islands too. Which Hawaiian Island is the Best to Visit? First of all, any island you visit will be magical. Hawaii’s colors and smells (oh, the beautiful flowers!) are vibrant, intoxicating, and that’s coming from a native California girl in love with my local beaches and mountains. Choosing the best Hawaiian island for your family depends on a few things. These include your interests, time and budget. Are you looking for a remote island experience, or lots of dining and shopping options? Each island has pretty beaches, cultural sites, and outdoor activities. However, each island has its unique features too. Whichever island you choose, you’ll have fun. Enjoy the aloha spirit, shave ice and a luau (touristy but fun). 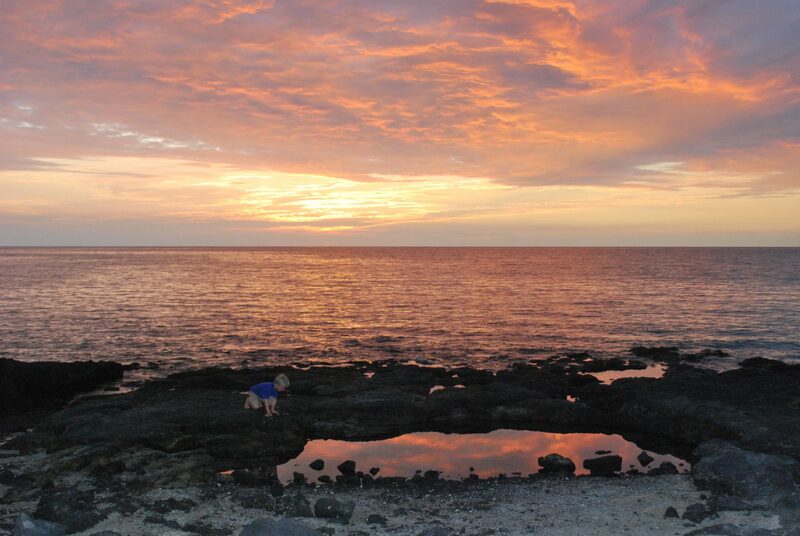 When planning your Hawaiian family vacation, consider island hopping to see two or more islands. And be sure to rent a car to explore the islands at your leisure. You get the best of both worlds on Oahu. Honolulu is a bustling city with many amenities, while the North Shore has a laid-back, natural island vibe. So, for first-time visitors to Hawaii, I usually recommend Oahu. It’s typically the easiest Hawaiian island to reach, and the most affordable. To enjoy Oahu’s diversity, we stay in both Waikiki and the North Shore. In Waikiki, family attractions include the Waikiki Aquarium, Honolulu Zoo, Iolani Palace and Pearl Harbor. Beaches are calm, and snorkeling is superb at Hanauma Bay. 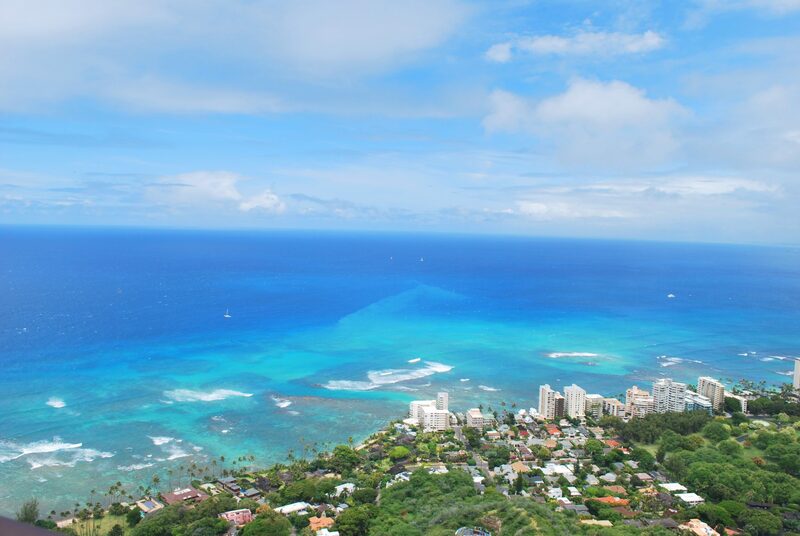 A hike up Diamond Head affords expansive city and ocean views. Afterward, pick up a traditional Hawaiian plate lunch at the casual Rainbow Drive-In. The North Shore is rustic and laid-back. Here, you’ll find legendary surf beaches. Grab a bite to eat in Haleiwa, a surf town with little galleries. Visit the Polynesian Cultural Center, composed of six Polynesian villages. The North Shore is also known for food trucks serving fresh fish tacos, shrimp and more. Tip: Swim in the calm water at Lanikai Beach in the town of Kailua on the windward coast. When considering which Hawaiian island to visit for diverse adventures, think Hawaii Island. The Big Island has 10 of the world’s 14 climate zones. And many activities to explore the varied terrain. Active volcanoes, beaches, waterfalls, cultural sites, and coffee farms are among the many attractions. The island has two airports: Hilo International Airport, and Kona International Airport. Consider flying into one and out the other. In Hilo, there are two active volcanoes – Kīlauea and Mauna Loa. For information and lava viewing, visit Hawaii Volcanoes National Park. Stop by the visitor center for park news and activities. This unique park has hiking trails, steam vents, a rainforest, and guided tours. The sunny Kona side is great for various beach activities including snorkeling and stand-up paddling. The nighttime manta ray snorkel tour is unique to this island. The island’s cultural sites include the sacred Puuhonua o Honaunau National Historical Park. The grounds were once the place of refuge for ancient Hawaiian lawbreakers. More island attractions include Mauna Kea (the tallest mountain in the world) and Akaka State Falls. 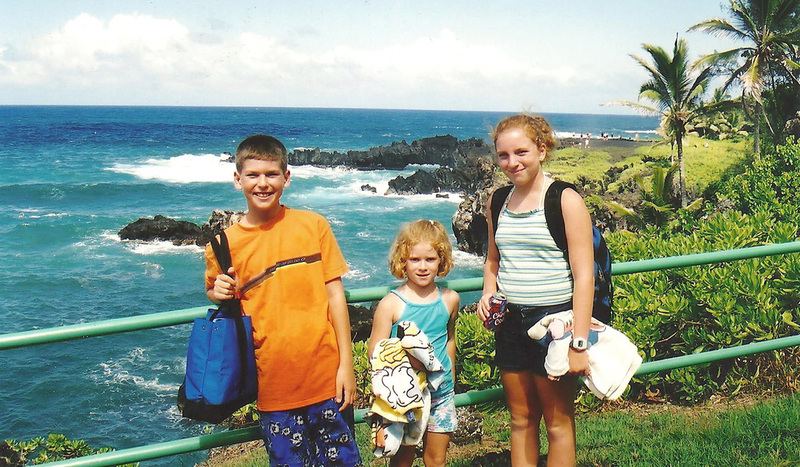 Maui is a good choice for families whether it’s your first or 10th time here. It’s a fun island to explore. Especially if you enjoy driving. 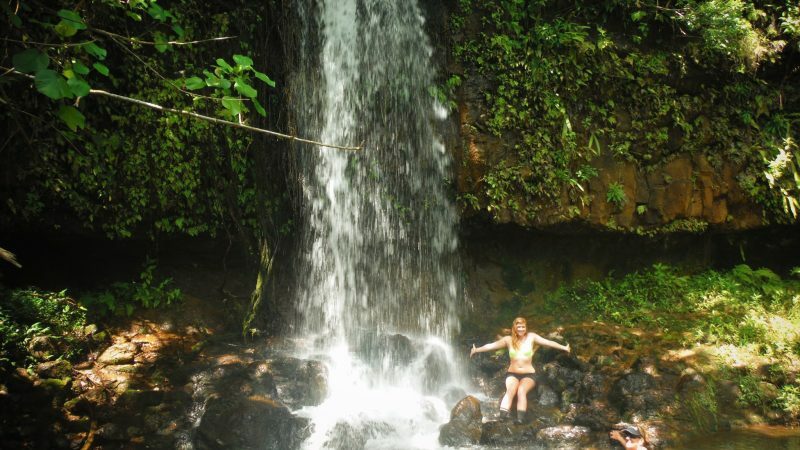 Get an early start for the Road to Hana. The drive is just 52 miles long. But with 620 curves and 59 narrow bridges, it can take a few hours. Along the way, you’ll see waterfalls, beaches, and the charming town of Hana. Another worthy drive is to the summit of Haleakala, a dormant volcano. At 10,023 feet above sea level, the summit is an ideal place to catch a sunrise or sunset. But daytime views are also stunning. It can be chilly, so bring a sweater. Situated on Haleakala’s lower slopes in Kula are two unique farms worth visiting. At the Ali’i Kula Lavender Farm, you can walk through lavender fields. A peaceful place, the farm offers tours and lavender products. Nearby, the Surfing Goat Dairy Farm produces award-winning cheeses. On the kid-friendly tours, you’ll feed goats and sample cheese. The best snorkeling is at Molokini crater, home to thousands of fish and marine life. If snorkeling isn’t your thing, consider an under-the-sea tour aboard Atlantis Submarines. It’s a fun outing with young kids. The Maui Ocean Center isn’t your typical aquarium. More than 60 indoor and outdoor exhibits are home to marine animals that live in Hawaii’s waters. A former whaling port, Lahaina is a charming waterfront village. Take a self-guided tour along the Historic Lahaina Trail. It leads to 62 historic sites. Treat your family to shave ice and sit under the massive Banyan Tree, planted in 1873. Kauai is aptly dubbed the garden island. The island’s mountains and valleys are lush and green, flowing with waterfalls and rivers. 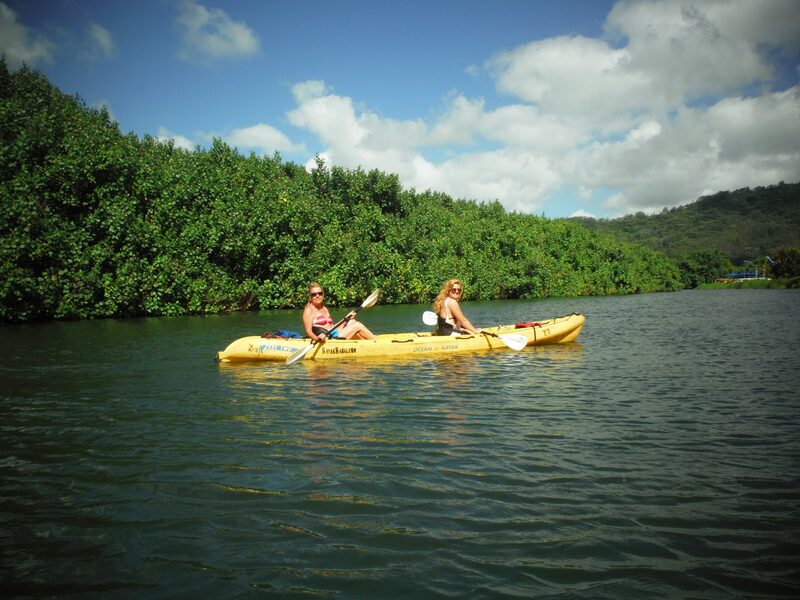 Adventure outfitters provide a fun and safe way to explore the island top to bottom. For example, we got an aerial view of the island via Island Helicopters Kauai. We landed at Jurassic Falls where the movie was filmed. We also flew over Waimea Canyon and the Napali Coast. One of my favorite activities is sailing and snorkeling along the Napali Coast, dimpled with sea caves. On our last visit, we booked the BBQ Picnic Snorkel Sail tour with Capt. Andy’s Eco Adventures. We had an amazing time sailing and swimming. Plus, we saw pods of dolphins. Princeville Ranch Adventures offers several tours to explore the working ranch’s property. On the Kalihiwai Falls Hike, we rappelled a rock wall and walked through a rainforest. The highlight was swimming in a secluded waterfall followed by a picnic. We were the only people there! 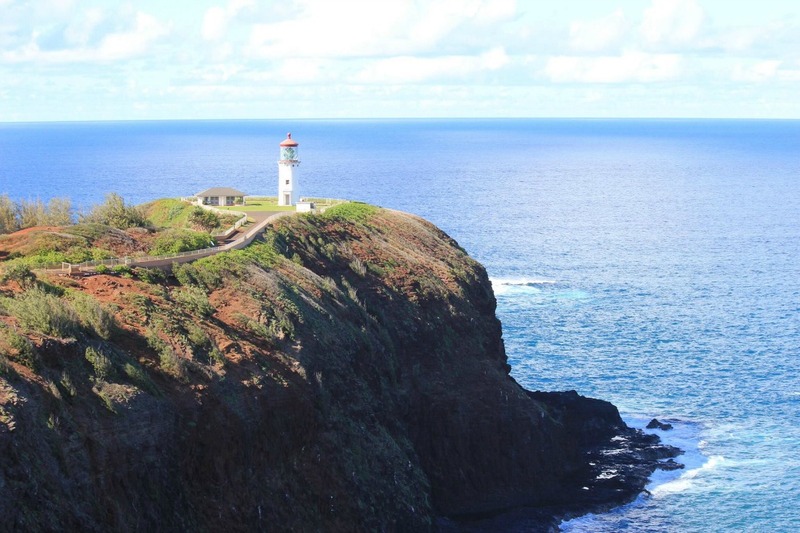 Places to visit on your own include Waimea Canyon, Poipu Beach, and Hanalei Bay. Also, be sure to visit the little town of Hanapepe for freshly made taro chips. The most undeveloped accessible Hawaiian island, Molokai is a true getaway. Here, you’ll find empty beaches and 30 miles of reef with abundant marine life. There’s only one two-lane highway stretching across the small island, and Molokai doesn’t have a major resort, shopping centers or traffic lights. There’s a small, rustic town – Kaunakakai – for supplies. The island is mostly populated by native Hawaiians. While they’re protective of their land, they welcome visitors. Molokai might be the best Hawaiian island for couples seeking an intimate island experience. But it’s also good for families who enjoy authentic excursions led by locals. We snorkeled with a young Hawaiian who speared fish for his dinner. 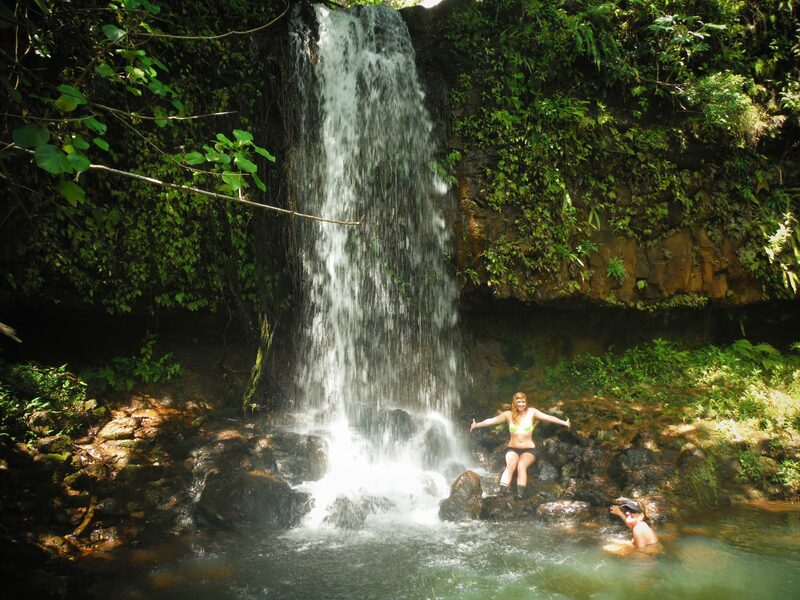 We also went on a cultural hike in Halawa Valley and swam in the pond beneath Mo`oula Falls. There’s a good assortment of lodging options for all budgets on the islands. Here, you’ll find condos and a range of boutique, luxury and resort hotels. My family enjoys oceanfront resort hotels, and some of our favorites include Outrigger Waikiki, Turtle Bay Resort, Hawaiian Hilton Village, and Ko’Olina Resort. Maui’s popular Kaanapali coast has many oceanfront hotels with easy beach access. These include the Sheraton, Westin, Hyatt Regency, and Kaanapali Beach Resort. For luxury digs, check into the Four Seasons in Wailea. 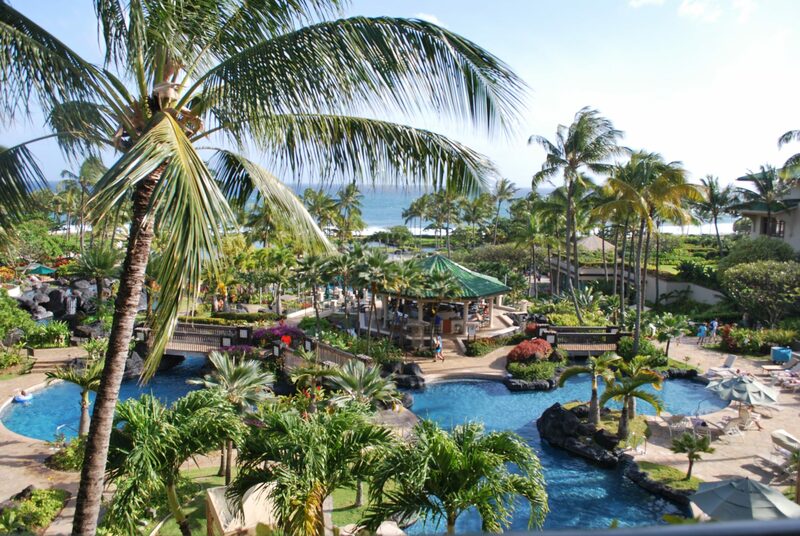 On the Big Island, the Sheraton and King Kamehameha’s Kona Beach Hotel have good locations in Kona. On the island’s Hilo side we stay at the Hilo Hawaiian Hotel. In Kauai, we like the Outrigger Kiahuna and the Marriott Resort & Beach Club. The Grand Hyatt Kauai Resort & Spa is another favorite. No fancy resorts here. Instead, expect a low-key assortment of hotels, vacation rentals, and cottages. My in-laws live on Maui so we visit often. We are headed there soon – yay! We like to charter the boat called, Kai Anela, for snorkeling and/ whale watching tours; the crew is amazing! Makena Cove is a nice spot we found for snorkeling. Some people rent their snorkel gear for the week at Bob’s. Napili is nice, soft sand and good for snorkeling. I’m sure I’ll think of more as our trip gets closer. ? Great tips- thanks, Lynette! Please send me tons of pictures to keep my family encouraged to make Maui happen! A family vacation is so much fun! Since this is your first trip to Hawaii I recommend the island of Oahu for its diversity. If you visit two islands, then I would include Maui. On Oahu, the Aulani resort is a favorite with many families. The Turtle Bay Resort on the North Shore is also a good choice. To stay in the hub of things, consider hotels in Waikiki (Outrigger, Sheraton, Hawaiian Hilton Village, etc). Family activities include snorkeling, hiking Diamond Head, and visiting Pearl Harbor and the Polynesian Cultural Center. Be sure to rent a car so you can get around easily. Here’s a link to the Oahu Visitors Bureau which, which can be helpful in planning your vacation. https://www.gohawaii.com/islands/oahu. Have fun!